I want to tell you about my grandmother and needlework. My grandmother had a big house and in one of the rooms she had a weave. On the weave she made tablecloths and carpets out of old sheets and fabrics. 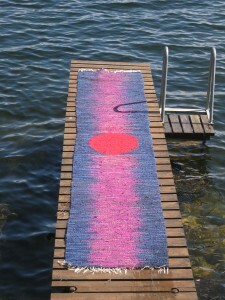 She ripped the fabric in to long thin strings and weaved them in to carpets. Some of the carpets she made where for her own house, some for the summerhouse and others to give away to family and friends. My grandmother had an education as a nurse but after she married my grandfather she became a housewife. No busy work life for her but instead she had time to do different kinds of needlework an of course be a wife and mother. After her children moved out of the house she also developed new interest such as hunting to spend more time with my grandfather who was a keen hunter. But enough about her life story so far because this text is about the needlework she made and her as an example for a generation of woman and design. 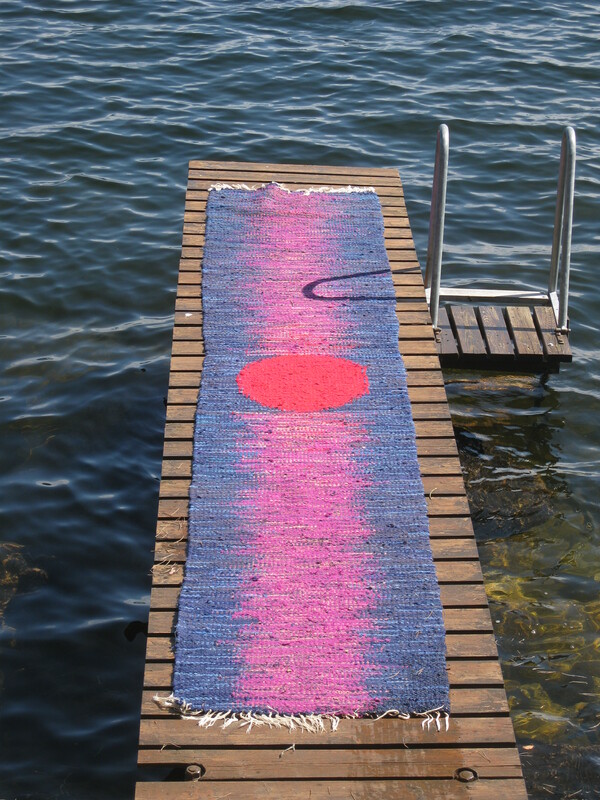 The carpets she made are called kludetæpper in Danish, which directly translated means rag carpets in English. A better word for it in English would properly be patchwork carpets. The technique is that you ripe a bunch of old fabrics such as sheets or bed linen into long thin shreds about one centimetre wide. You then weave the shreds together again into rectangular carpets. The results is colour full thick carpets. When weaving you can also make patterns or motifs in the carpets by selecting the specific colours and then applying them in a pattern. The more traditional look of the carpets is a wide blend of colours without a specific pattern or motif.